Wednesday the boys and I spent the morning at an environmental center playing puppets, doing puzzles, blocks and checking out frogs/turtles/fish/snakes. Then I brought them out for a quick lunch,,, thankfully they were starving by the time the food came so they sat nicely and ate which means I got to eat pretty peacefully! Yay for that! Came home and the fridge was running on empty so I headed to the pantry. 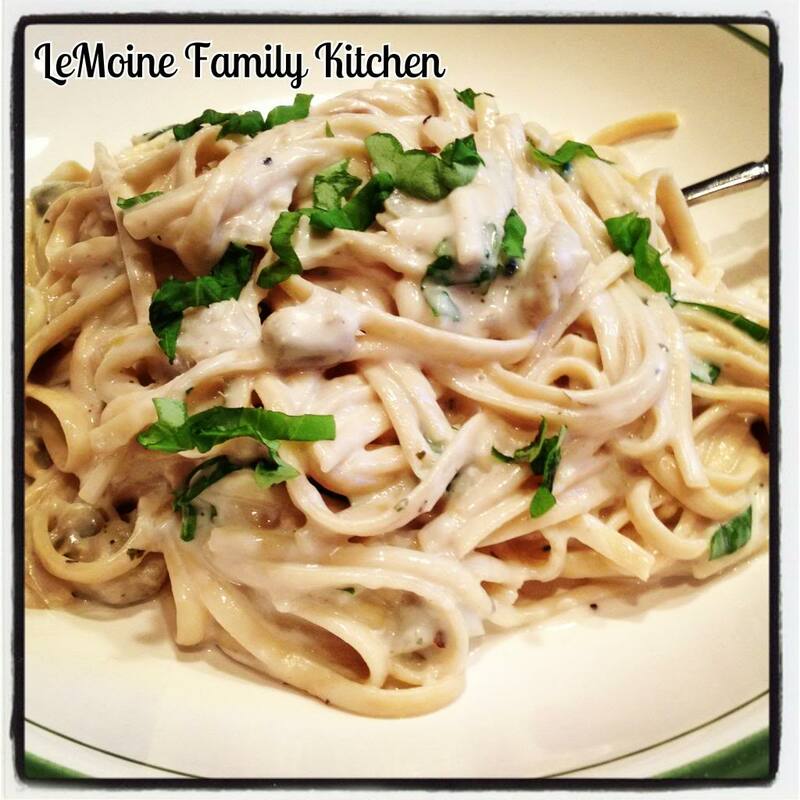 Keeping it quick and simple I decided it was a pasta kind of night- Linguini in a Creamy Artichoke Sauce! I had some light cream in the fridge to use up and some marinated artichoke hearts. 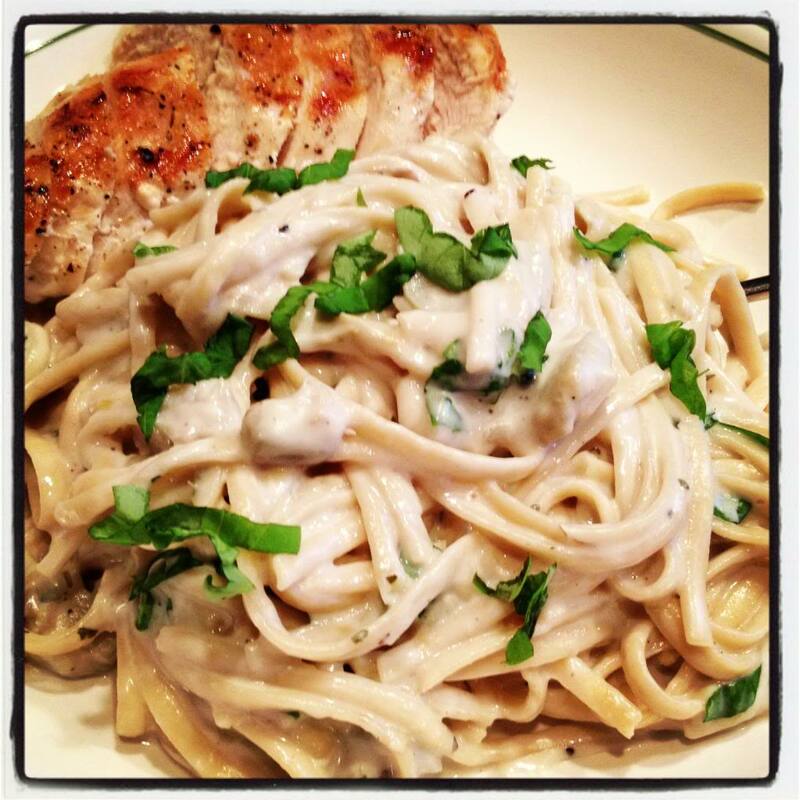 I also used a whole lot of fresh basil in this sauce which adds great flavor! 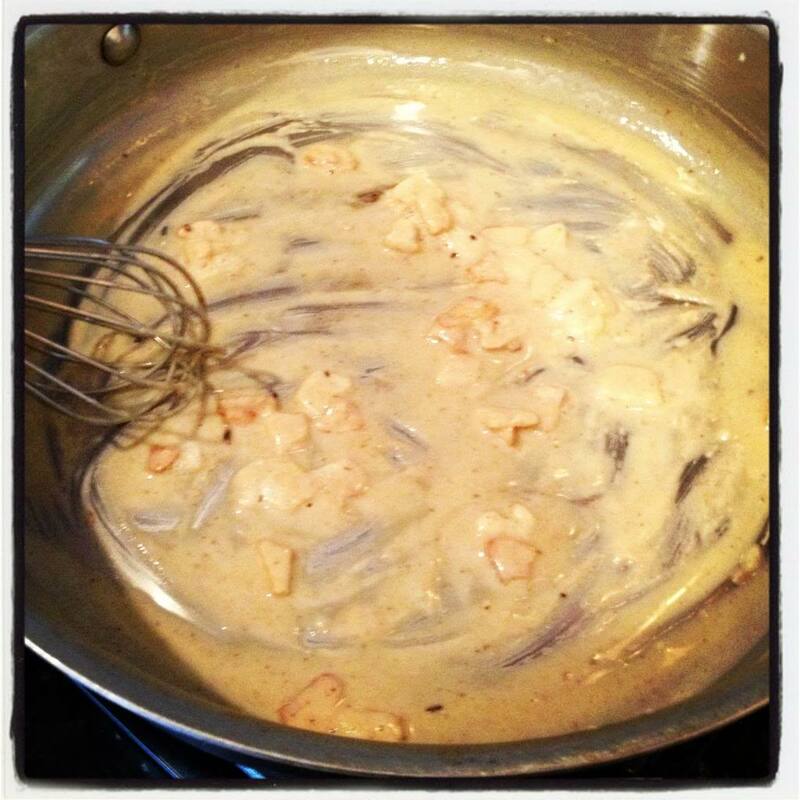 This Creamy Artichoke Sauce is really simple to make and its lightened up a bit because its only half light cream and half pasta water! You still get a wonderful rich tasting sauce but with a little less calories! I cook the pasta few minutes shy of al dente and finish cooking right in the sauce. I served a grilled chicken breast along with the pasta. Cook the pasta 2-3 minutes shy of al dente (check the pkg for time), drain and set aside. 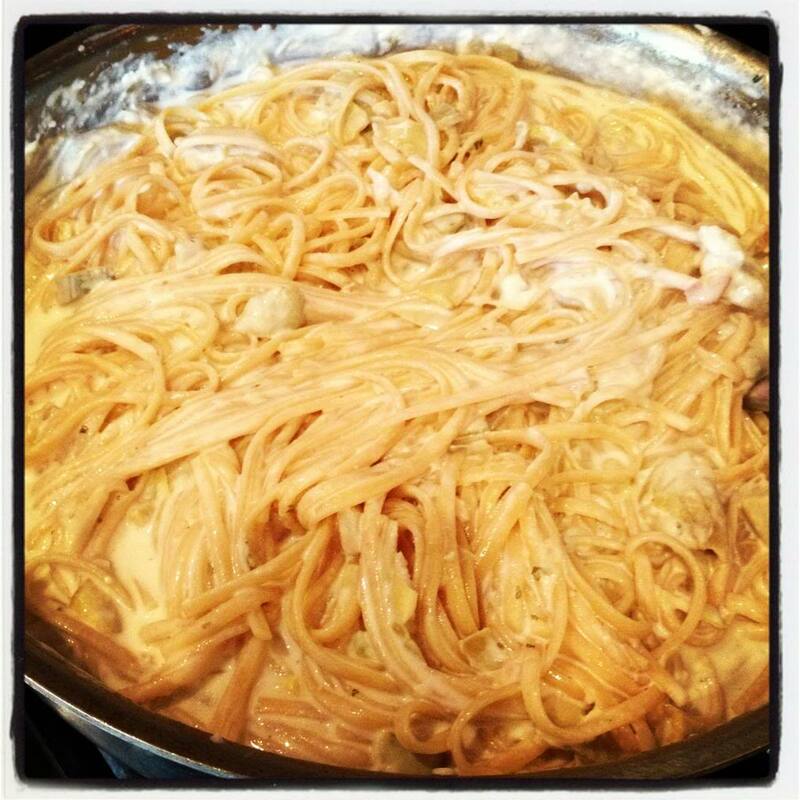 DON’T FORGET TO RESERVE AT LEAST 1 1/2 CUPS PASTA COOKING LIQUID. 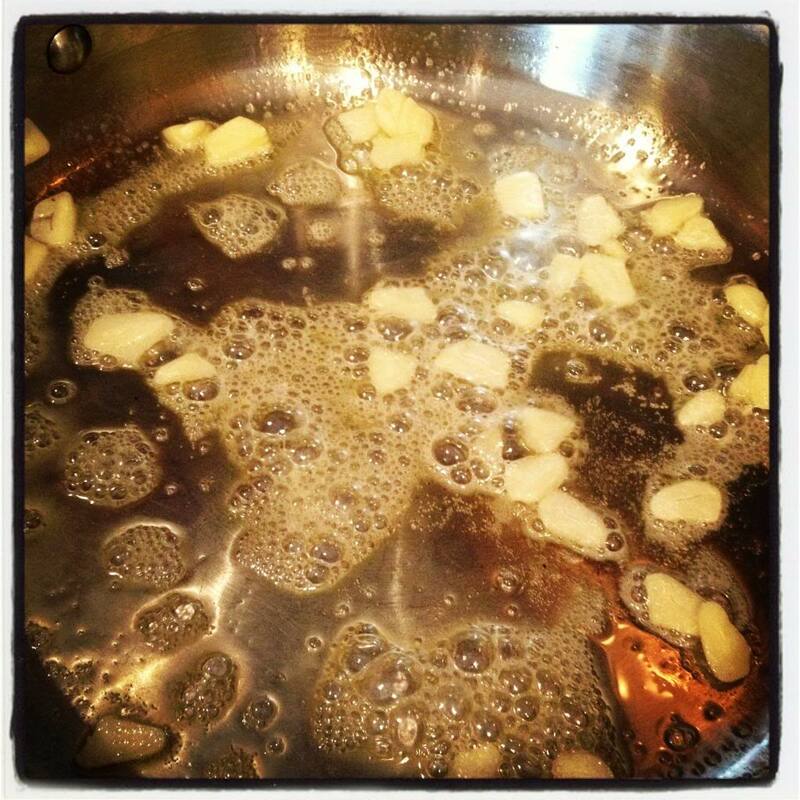 In a saute pan, over medium heat, add the butter, olive oil and garlic. Once the garlic is fragrant and slightly softened stir in the flour until smooth. Cook the flour just for a minute. 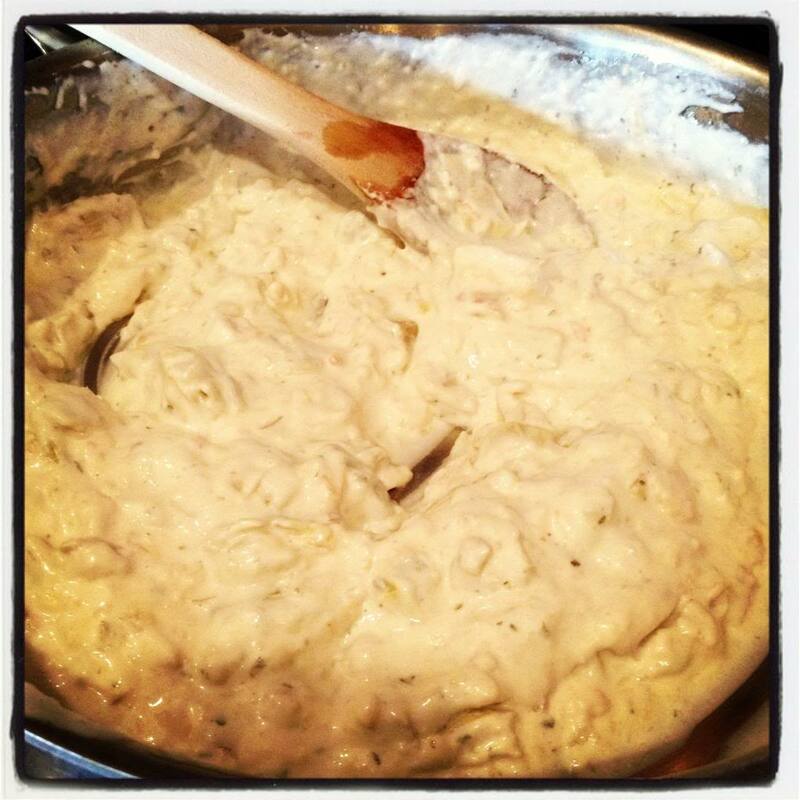 Stir in the light cream and artichoke hearts. Mix until everything is well combined. Allow to simmer just a few minutes. It will be thick at this point but we’ll loosen it with the pasta water. Toss in the pasta and pasta water and allow to cook for a couple minutes, until the pasta is al dente. If the pasta seems a bit dry you can add a little bit more cream or pasta water in there. Turn off the heat and stir in the grated cheese and basil. Season with salt and pepper to taste. This looks soo good. Do you think I could use fresh artichokes for this? 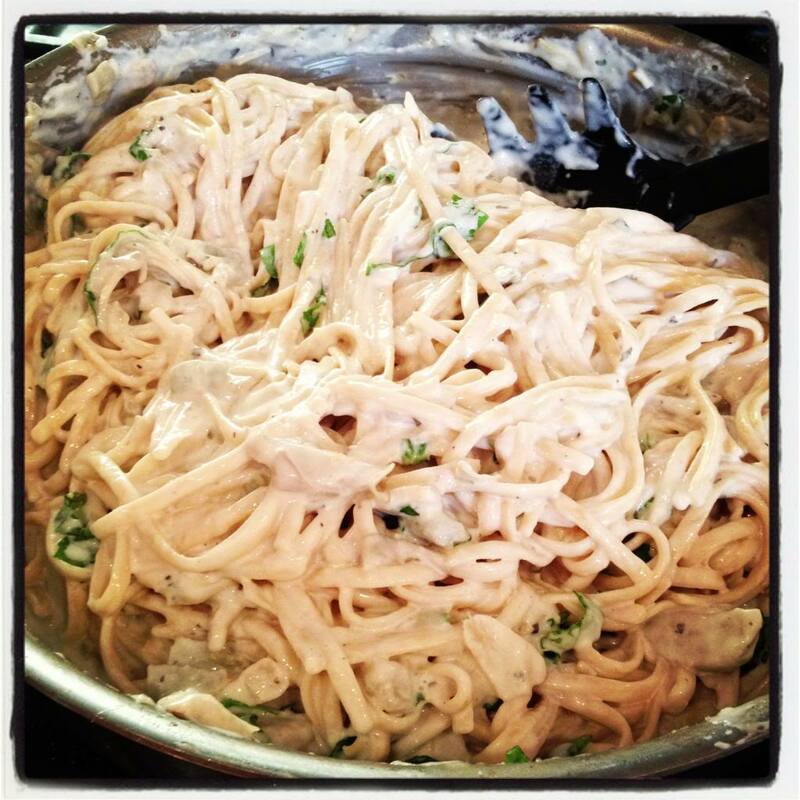 I am following your site via all methods now to keep track of your yummy looking recipes! Thanks so much for following along Tara!!! You could certainly use fresh artichokes… it would be a lot more work… you’ll have to break down the artichoke to get just the heart and pre cook that until tender… at that point I would toss with olive oil and some garlic and fresh or dried herbs then go ahead and follow the steps of the recipe. Checking out your site now! thanks so much! Checking out your site now! Wow! This is right up my alley! !